This post looks back at 2016 and our Surrey campervan hire business’ highlights. It has been a great year for Buttercup Bus VW Campers, with major growth in our branded VW Camper hire services, along with continued increase in our corporate bookings. We have remained popular with our much loved wedding events too! Here is a little summary of the past year. 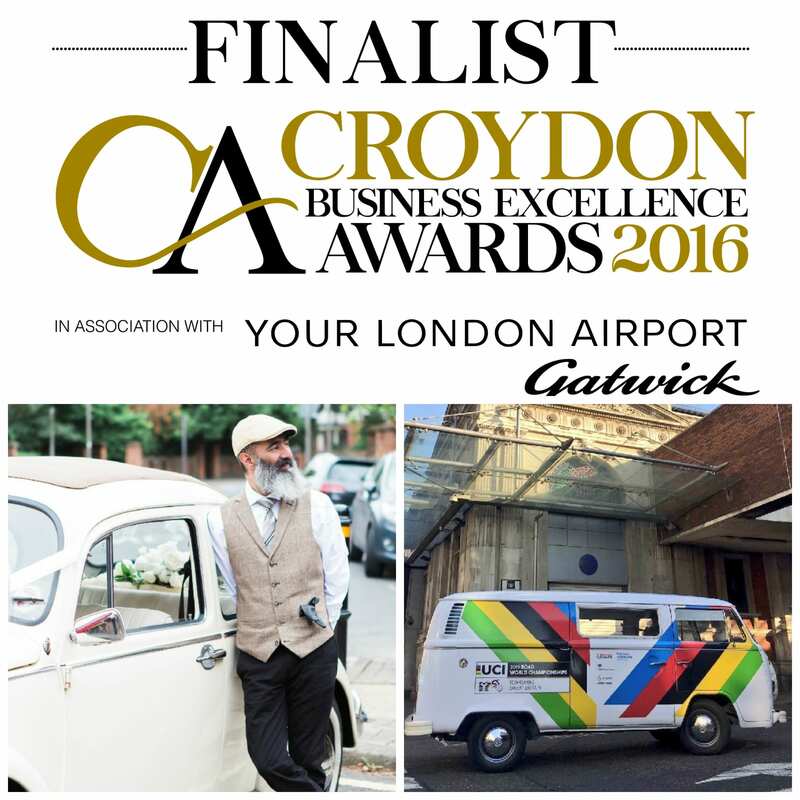 We were proud finalists of the 2016 Croydon Business Awards for best Creative and Media Business, coming Commended in our category. This is the second year running that we have achieved this status. We customised our campervan to provide the first ever 1970s VW Camper wet shave barber bus for a promotional tour for Dorco razors. The camper came complete with Barbers, product display shelves, branding, and hydraulic chairs. We experimented with new techniques such as plasti-dipped wheels to ensure the campervan was delivered “on brand” in the correct colour. 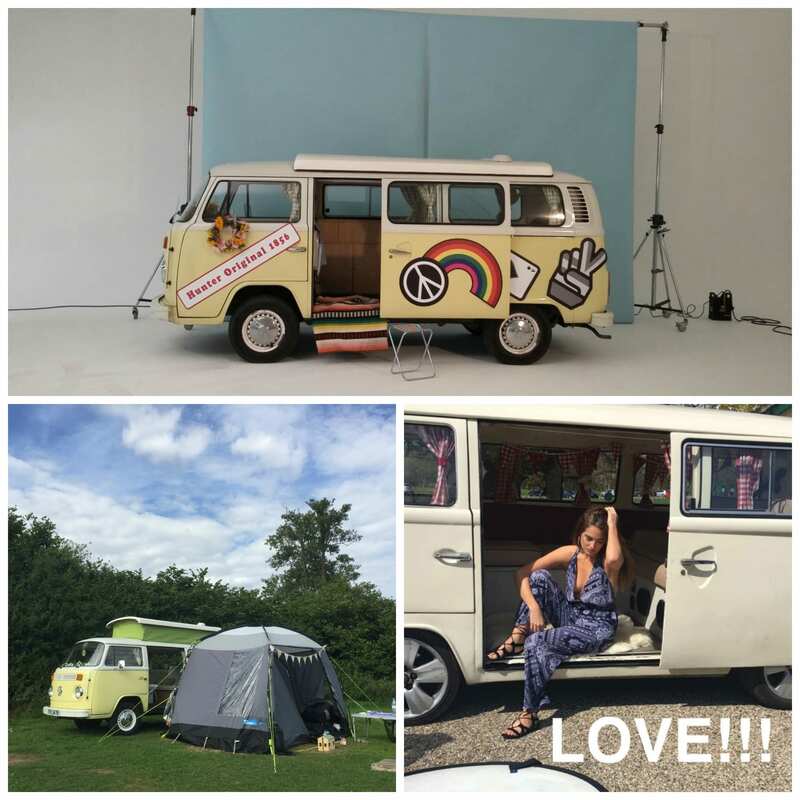 We worked with pet brands Beaphar UK and Natural Instinct to raise awareness of their products with our pet friendly campervan photobooths at promotional events. We had a range of animals taking part, to include dogs, chickens, foxes and parrots. The campervan photobooth included branded instant prints and themed props. We have continued to work with key wedding venues where we have enjoyed ongoing preferred supplier status – to include Oaks Farm, Wotton House and Kingswood Golf Club to name a few. We also joined Coltsford Mill and Selsdon Park Hotel this year as preferred suppliers and look forwards to working together in the year ahead. Bumble the honey and cream campervan was fully restored in 2015, and enjoyed her first year of service as a wedding campervan and camper photobooth in 2016. She proved a huge hit with her new, white walled tyres and original, factory built sunroof. A real head turner! Belinda Bus enjoyed a very important self-drive VW Camper hire in Surrey this year. We helped our hirer plan a romantic trip across the Surrey countryside, to include various romantic viewpoints. The hire was scheduled alongside the delivery date of a very special ring – and we are thrilled to say that on popping the question, the driver’s girlfriend said “Yes”! Hurrah – we love getting engaged stories – especially when they involve our campervans! We promoted Yorkshire hosting the 2019 UCI Road World Championships with our branded campervan participating in the Lord Mayor’s show, as part of the London procession. As one of 150 floats taking part in the 801-year-old parade, the branded VW Camper was seen by more than 500,000 spectators who lined the capital’s streets, and was showcased to more than two million viewers on the BBC. We collaborated with Eva from Marie Marry Me for a Surrey Wedding Bohemian style shoot. We rocked up with our pretty Beatrix Beetle, ready to join an amazing team of suppliers at Hambledon House wedding venue in Surrey. The resulting pictures were breathtaking – and resulted in worldwide blog publications. Always developing and growing our services, we continued to invest in the business this year. We commissioned the design and production of light up “photos” signs to go on our campervan roofs, to add the “wow factor” at events. Upgraded our photobooth dye-sublimation printers to the very latest DNP models. Maintained the campervans, to include top engine rebuilds, winter bodywork restorations, new (and hard to come by) right hand drive sliding door, music systems and speakers, security upgrades, fire suppression systems, white walled tyres and a shiny new VW badge. We were thrilled to find two new additions to the existing Buttercup Bus team this year. Jane joins the team with a wealth of experience in the wedding photography world – a perfect match for our wedding transport and campervan photobooth services. She is a brilliant “people person” and has been a big hit with our clients. Sy is a huge campervan enthusiast, with a collection of campers of his own. His creative skills, dapper clothes and detailed knowledge on camervans makes him a perfect match for driving the wedding campers and running camperbooth events. As the business owner, its not very often that I have a campervan available for personal use in the summer months as they are usually booked up. However, this year, I found a slot for a spontaneous family camping trip to WoWo with Buttercup. The kids loved it and so did I! We learnt bushcraft skills, enjoyed marshmallows and campfires, and went on a woodland fairy trail. A brilliant holiday – super relaxing and highly recommended. What an absolutely brilliant year, with – I’m sure – even more great things to come in 2017! On top of which, your blog is looking VERY pretty with its fonts and images and extremely cool logo! Wow, a superb year for your kombis! I love the idea of a self drive holiday in one of your vans!